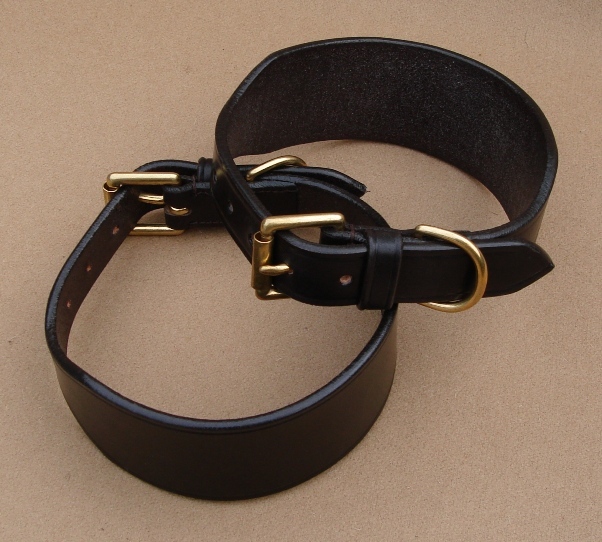 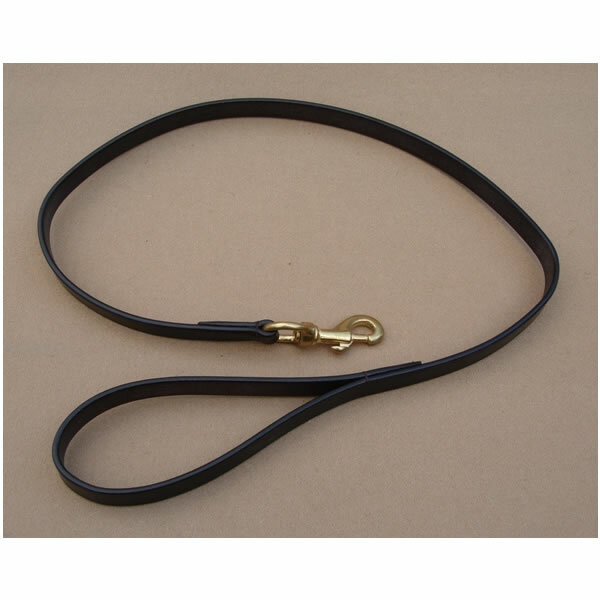 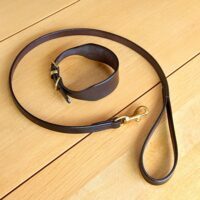 Hand made from Best Quality Dark Havanna English Bridle Leather. 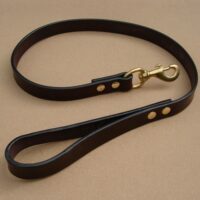 We use extra thick leather for our Lurcher Collars so that they hold their shape. 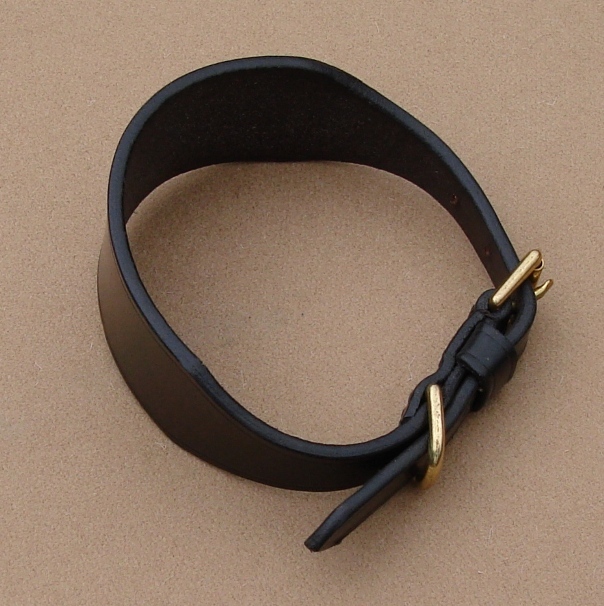 The collar measures 2″ (5cm) at the widest point, narrowing to a 1″ (2.5cm) buckle. 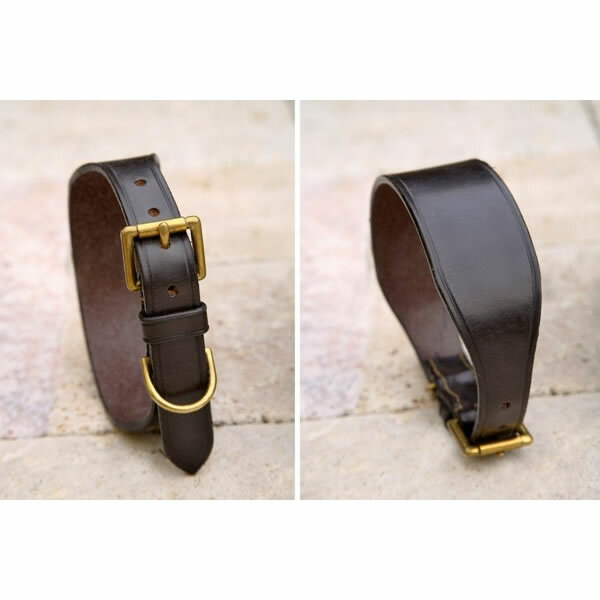 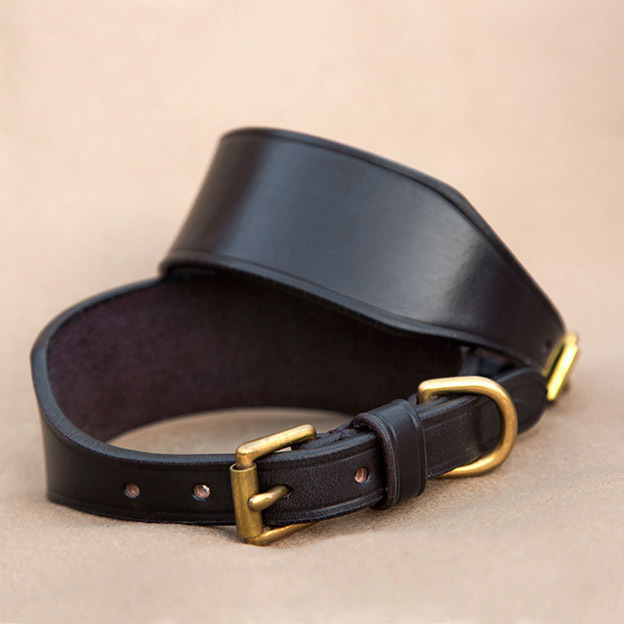 Hand Stitched with a Solid Brass 1″ Buckle & Dee to suit a slightly heavier dog. 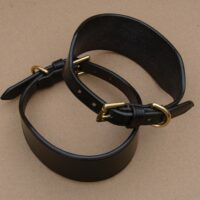 Neck Sizes available: 15″, 16″ and 17″ to the middle hole – each collar having 5 holes.